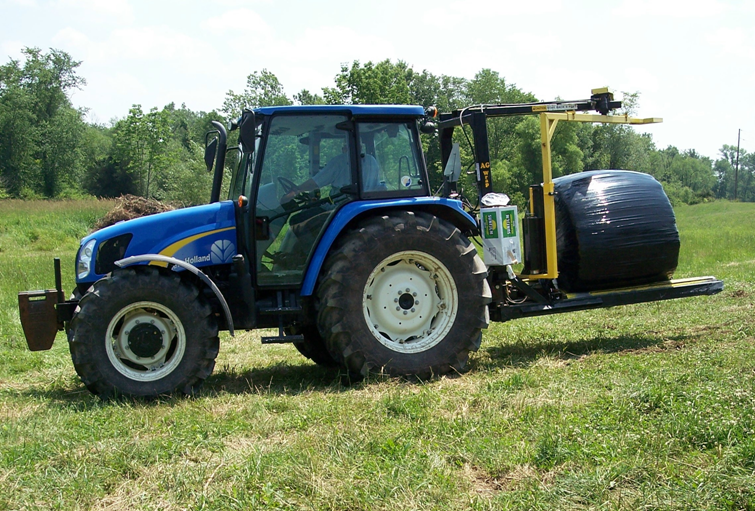 Place cursor over the photo of the tractor and click the arrow to start a video of the Ag Wrap Bale Wrapper that has wrapped over 7,000 bales being used on a New Holland T5060. We Highly recommend that if you plan to use the Ag Wrap Bale Wrapper on a Skid Steer, make sure you have 3500# of lifting capacity. 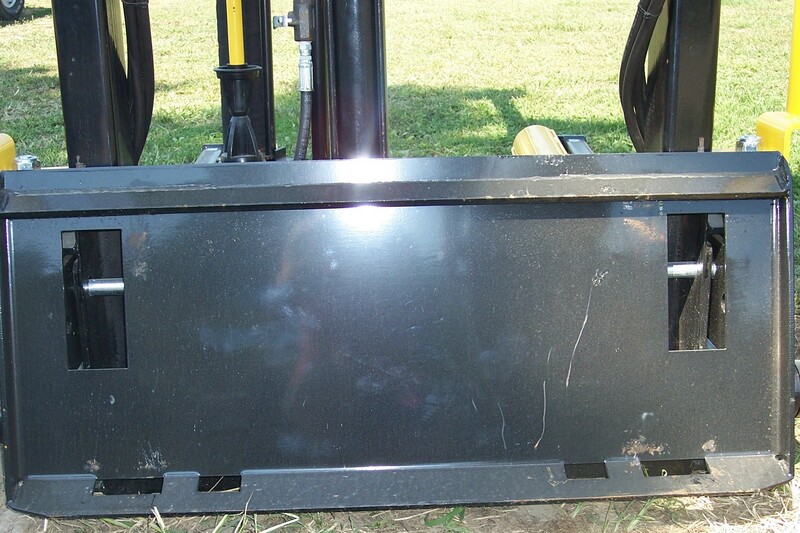 For smaller skid steers and tractors we now offer the Ag Wrap Wheel Assist Bale Wrapper!! 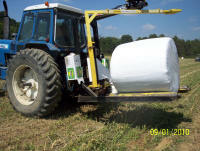 Wrap high moisture baylage in white plastic for excellent quality silage bales! so you can store them outside without loosing quality. 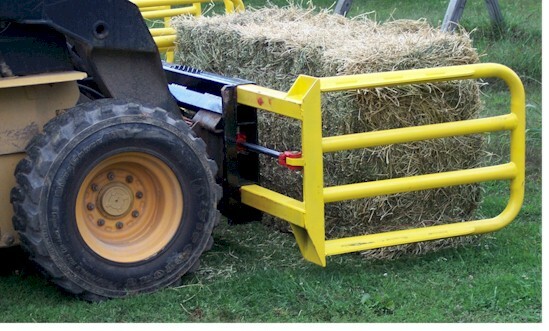 Can also be used on straw bales. IN THE CARROLL, COLUMBIANA, & HARRISON COUNTIES IN OHIO. 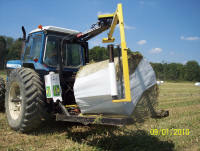 THEY ARE ACCEPTING BLACK AND WHITE SILAGE WRAP, NET WRAP, BUNKER COVERS, PLASTIC BALER TWINE, PLASTIC FEED SACKS AND MORE. PICK UP A 4X4 BAG AND FILL IT . MORE INFO AS WE GET IT IN. WE HAVE ADDED POSTS TO HAUL 2 EXTRA ROLLS OF PLASTIC WRAP!! 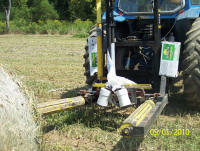 or use the access holes in the plate and hook it to the 3 point of the tractor. 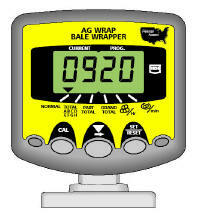 Do you have an older Ag Wrap Bale Wrapper and want to update it???? all of these are on our all our new wrappers!!! 30" Prestretcher pictured below (enables you to use 20" or 30" plastic wrap)To add this unit you simply unbolt the old unit, slide this onto arm and bolt into place. 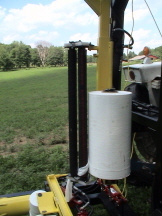 Counterbalance pictured below (helps reduce the movement of the wrapper and tractor) Just slide it in and bolt it tightly. Balage has been used in European countries for over 20 years and much of the technology in successfully making balage is from Europe. Timing of wrapping is very important. After baling, bales should be wrapped within 2 hours at 40-60% moisture to maintain quality, the more oxygen the bales has degrades the quality of the forage. 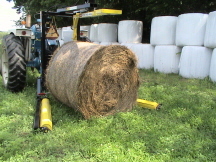 Make bales as tight as possible so oxygen cannot enter bales until wrapped. We began wrapping in 1991, renting a wrapper to make sure we were happy with results. We now wrap everything including dry hay and straw that’s all stored outside. 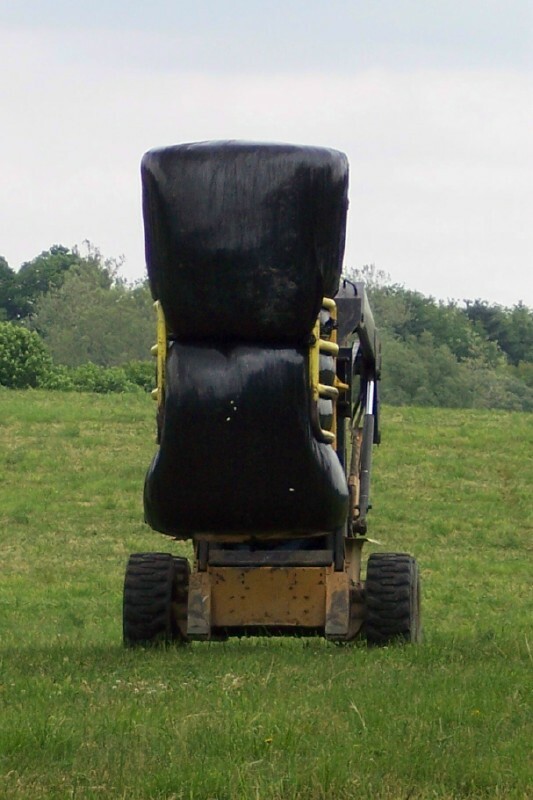 Wrap dry hay and straw with black plastic as white will cause condensation of moisture under the plastic, while bales wrapped in black plastic will pull moisture from under the plastic. Be sure the bale has sweat out before wrapping by putting your hand in the middle of the bale to make sure it is cool before wrapping. 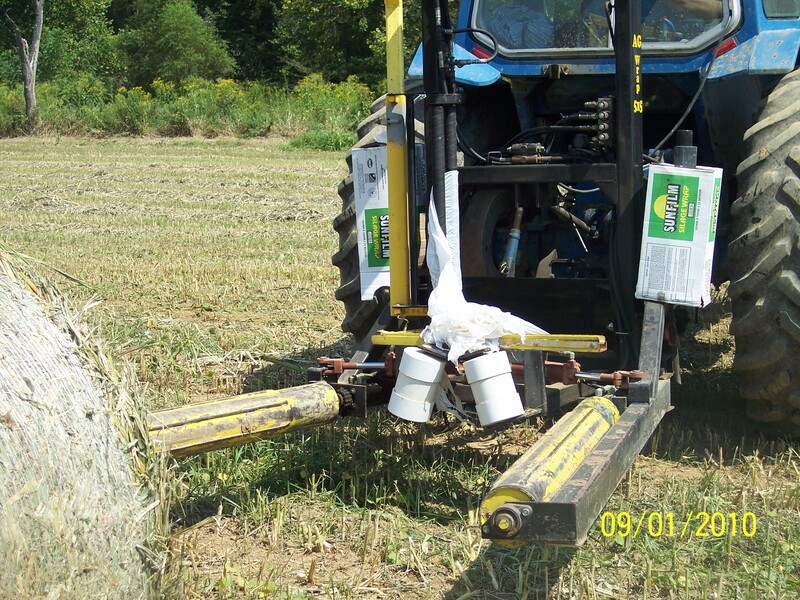 Straw can usually be wrapped after combining as the moisture content is much lower. We prefer individual wrapping as we stack them on end near the area where we are feeding them rather then going out to the field and hauling them back to feeding area. 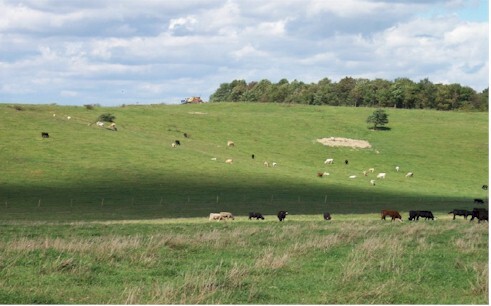 Balage is quickly gaining popularity for storing forages, wet and dry, for excellent feed. 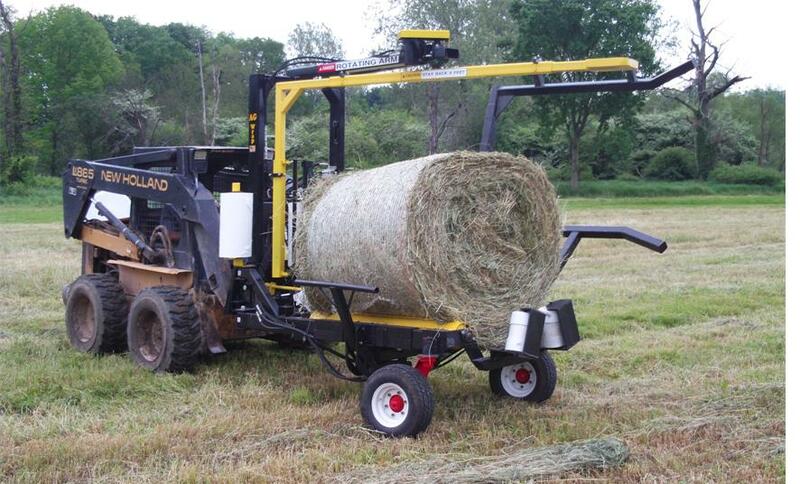 Research has shown balage excels as a way of storing forages. Balage will ferment and ensile at a temperature of 104%u02DA-106%u02DA while upright silos ferment and ensile at 116%u02DA-122%u02DA. Bunk silos ferment at 125%u02DA-135%u02DA. 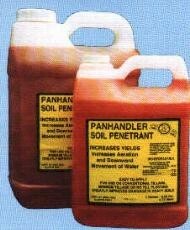 The lower the temperature forages can ensile means less oxygen is present to burn off nutrients. 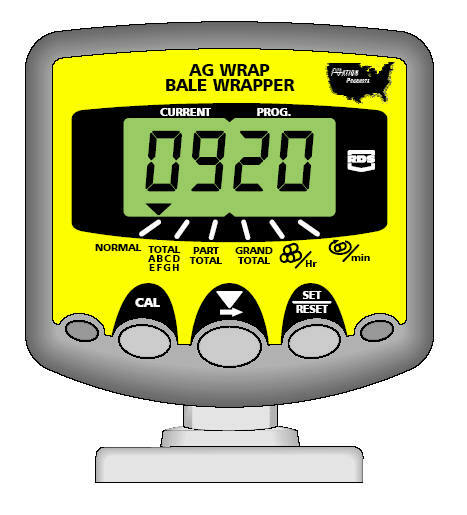 The Ag Wrap Bale Wrapper can be used as a 3 pt. or skid steer mounted. 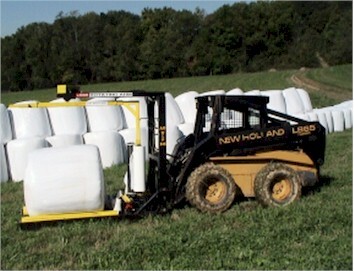 Some prefer the wrapper on the skid steer as you are looking ahead to wrap the bales. 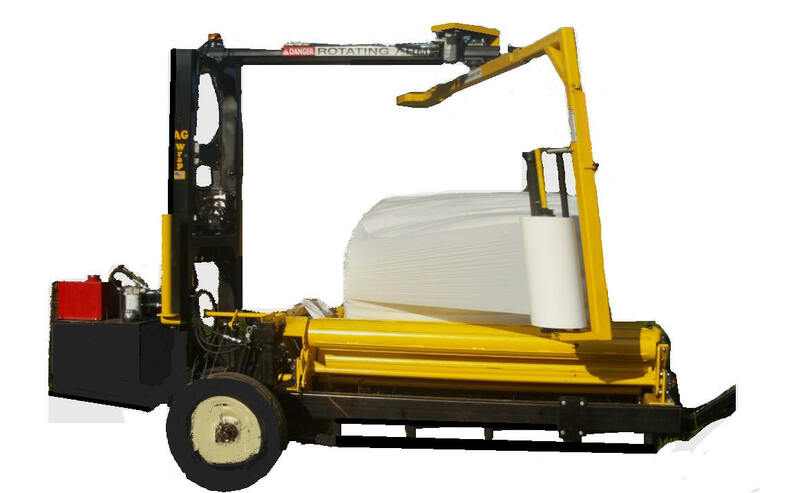 The average time to pickup and wrap and pull away is 1 ½ to 2 minutes. 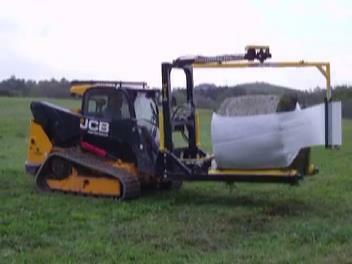 The operator also has the capability of wrapping on the move. 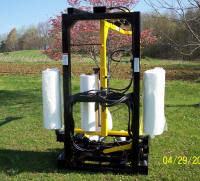 The Ag Wrap Bale Handler allows you to move, stack and store wrapped bales with out damaging the plastic. 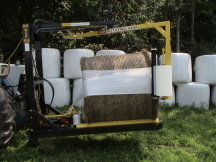 Bales stored on end can be stacked 2-3 bales high to save space. 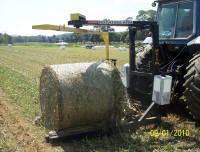 The Ag Wrap Bale Handler can be adapted to fit your loader or skid steer hookup. AG NATION PRODUCTS WORKS WITH ACCORD FINANCIAL GROUP FOR FINANCING. Click on the logo below to go to the Accord Website and an application for financing. Contents of this website cannot be reproduced without written consent of the owner.